51 ladies are playing today in glorious sunshine and many using caddies to guide them round this super course. 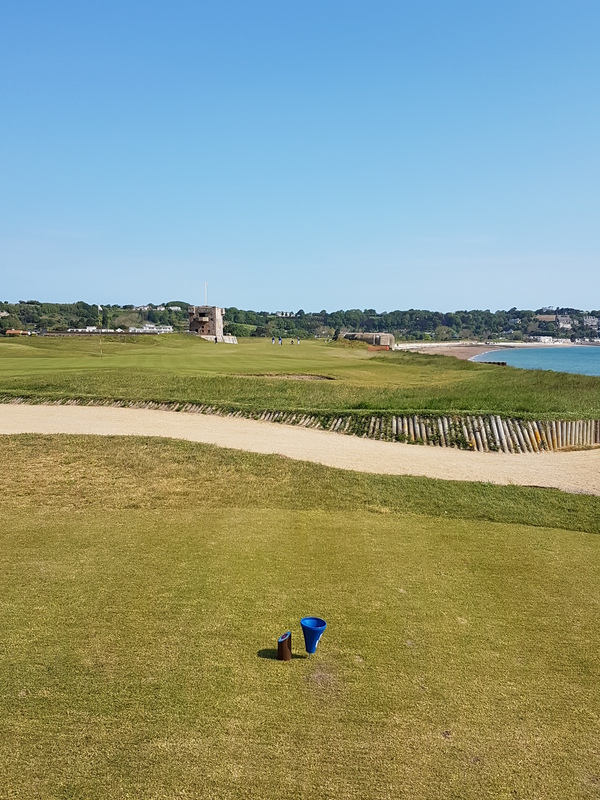 The first hole (pictured) looks beautiful with Fort Henry on the left (OOB) and a sea defence and beach (not to be played from) on the right but other than that very inviting! The 2nd is a par 3 with elevated green and danger all around and then it gets hard with the par 5 3rd! The impressive Mont Orgueil or Gorey Castle invites you out to the 4th, hugging the coast until you turn for the 5th. Accuracy with driving is an advantage, but then that could be said of most courses and straight is usually best – again another truism. With the exception of Linda Dell from Army all our winners today came from clubs by the seaside here in Jersey and the mainland. Conditions eased slightly from yesterday and the CSS went up to 75. 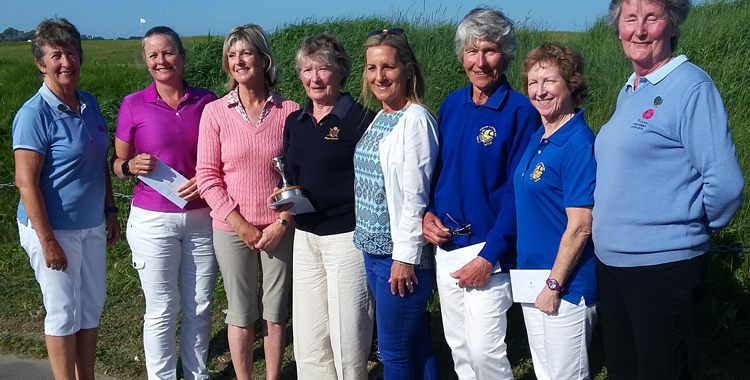 Congratulations to our Div 1 and 2 winners Kath Hickson from Royal Jersey and Carol Evans of Gosport & Stokes Bay. 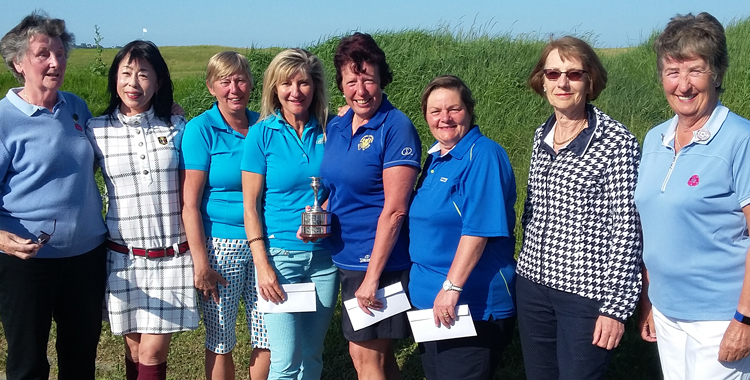 Best gross in Division 1 was Francine Rhodes from Royal Jersey and in Division 2 Liz Styles from Hayling. We wish identical twins Lorraine Williams and Karen Brotherton from Gosport & Stokes Bay a happy birthday today and Marilyn Monger from Royal Winchester is celebrating today with a significant birthday – congrats to you all!